How to get from Shanghai Pudong Airport to ningbo? From Shanghai Pudong airport to Ningbo, the distance is about 168KM and There are 5 ways of transportation between two cities, let’s check them out with us. Why you will need a transfer service from Mr orange transfers? Compare with express railway Our transfer service are private and comfortable, Our driver will hold sign to greet you at designated position. We will make everything smooth and easy. 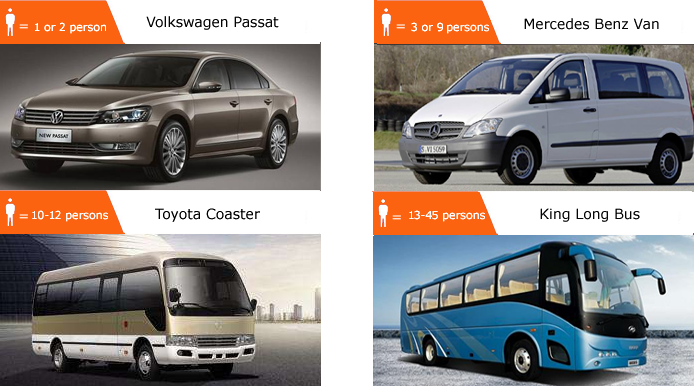 Compare with Shuttle bus We are private transfer and customer will NOT need to wait for a fixed departure timetable. We are easy going, We promise to drop you off anywhere you point on the map. Our van are with bigger space for you and your family, We will make everything smooth and easy. After arriving at Shanghai Pudong Airport, you can go to Shanghai long-distance bus station and take a bus to Ningbo. The specific method of taking the bus is as follows: First, you need to take Airport Line 7, the fare is 20 yuan per person, the departure interval of Airport Line 7 is 30 minutes, you have to estimate 80 minutes from Pudong Airport to Shanghai South Railway Station, if you are lucky, you will leave immediately, if you have just left one, then you have to estimate another 30 minutes. Of course, this does not include the time when you pick up your luggage. When you arrive at the Shanghai South Railway Station, you need to take your luggage and walk to the Shanghai South bus Station. After buying the ticket, you usually have to wait for about 20 minutes in the waiting hall. At this time, you can queue up to take the bus to Ningbo. The price of the bus is about 99 yuan per person. After the bus leaves, it takes about 2.5 hours to reach Ningbo without traffic jam. Please note that the timing estimation for public transportation is not based on peak hours. After arriving at Pudong Airport, in the second way, you still go to Shanghai long-distance bus station and take a bus to Ningbo. The specific method is slightly different from the first one. Please read in detail: first, you need to take maglev train to Longyang Road subway station (it takes about 8 minutes after departure), then you need to transfer to Line 2 to get off at People’s Square Station (7 stops from Longyang Road to People’s Square), and then to Line 1 to Shanghai South Station (8 stops from People’s Square to Shanghai South Station). There are 15 stops in total. If we estimate according to the subway’s average time of 3 minutes and one stop, we can calculate that the time you take the subway in this period is about 45 minutes, but when you add the time you need to transfer to another line, it is about 15 minutes, the time you need to wait for the maglev and the subway is about 15 minutes, and the time you need to take the maglev is 8 minutes. Therefore, you need to estimate the fastest time is 80 minutes to reach the Shanghai South Station. After you arrive, you should take the bus from the southeast entrance of the subway and walk to the Shanghai South bus station. The characteristic of this scheme is that it changes lanes many times. If you are carrying many pieces of luggage, or children and the elderly, this scheme will be busier and quite energy-consuming. Please note that the timing estimation for public transportation is not based on peak hours. The fourth way is to take the train to Ningbo at Hongqiao railway station. First, you will need to take the airport bus line 1 at Pudong Airport and wait in line to reach Hongqiao Airport Terminal 2. The waiting time is about 15-20 minutes. If there is no traffic jam during the journey, you can reach Hongqiao Airport about 70 minutes after departure. The airport bus fare at Pudong Airport is about 30 yuan per person. After the airport bus arrives at Hongqiao Airport, you will have to walk to Hongqiao Railway Station. Hongqiao Airport Terminal 2 and Hongqiao Railway Station are in the same building. Follow the sign to walk to the Hongqiao railway station. You can take the underground second floor or the elevated walkway on the ground. It takes about 15 minutes to walk. If you are with children or taking luggage, you will need to estimate some more time. After you arrive at Hongqiao Railway Station, you can buy a train ticket to Ningbo on the same day. There are many trains to Ningbo all day round. The train takes about 2-2.5 hours to Ningbo. The latest train from Shanghai Hongqiao to Ningbo departs at 20: 35. There are three kinds of fares for the train ticket from Shanghai Hongqiao to Ningbo, 144 yuan, 237 yuan and 444 yuan, which represent different seat levels. You can choose to buy according to your needs.Walking to Hongqiao Railway Station by yourself is not very convenient especially when you are with luggage and children, then if you want to be more efficient, you can take a taxi directly from Pudong Airport to Hongqiao Railway Station,But the cost of 200 RMB is much higher than that of taking the airport bus. After arriving at Pudong Airport, the last option is to take a taxi at the airport and go directly from Pudong Airport to Ningbo.This is a comfortable choice, but the cost is also the highest, especially when traffic jam extra charge is taken into calculation. In addition, you will also need to pay an additional high way fee of about 175 yuan.When arrive Ningbo,The estimate total cost of the trip is about 1100 yuan. Normally, if there is no traffic jam, it will take about 3 hours from Pudong Airport to Ningbo.